Hoodwinked Too! Hood vs. Evil (2011) on Netflix Belgium. Check worldwide Netflix availability! 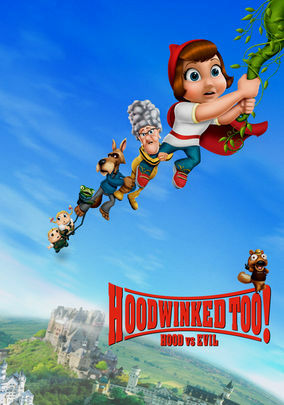 If Hoodwinked Too! Hood vs. Evil isn't available in your country, or you are visiting a country where it isn't, there is still a way to watch it! Fresh off a top-secret training, feisty heroine Little Red teams up with intrepid reporter Wolf to investigate the disappearance of Hansel and Gretel. Trained by a clandestine sisterhood, one little girl will defy all expectations of what fairytales can be.